The sweat pours off your brow as you put in the long hours and mighty effort to climb the ladder of success at work. With each step up the ladder on the long, hard climb toward the top it is advisable to take a break to savor the sweet rewards of your labors. But, don’t think you will catch your breath when you celebrate at a gentlemen’s club in Dallas because our ladies are guaranteed to take your breath away. 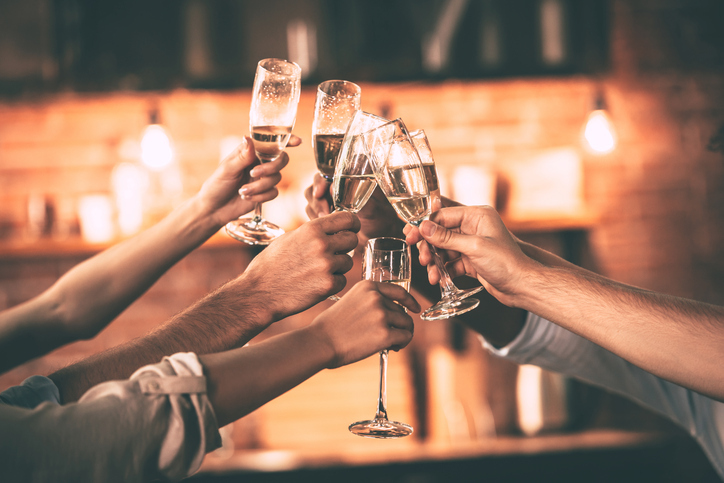 As you get ready to celebrate your success, the following are some tips to help you prep for your promotion party. Invite the neighbor you play poker with, the guy from your church whose wife never lets him leave the house and the guys you play softball with on the weekends. Whatever you do, don’t invite your new boss or loosed-lipped colleagues who might let it slip that not everyone in the office is invited. Baby Dolls is a big place, but we are not so big that we don’t regularly fill to capacity. In fact, we do, and we recommend that groups of five or more make a reservation in advance. Baby Doll’s Gold, Silver or Bronze packages will help you get the biggest bang for your buck. Each package comes with three to five dancers, champagne, a special Baby Dolls T-shirt and the promise that our beautiful dancers will shower the mover and shaker of the hour with plenty of special attention. Clear your calendar and clear your head. Get ready to leave work behind you and wives and girlfriends at home for the evening. This is your night to loosen the tie and let your hair down. In fact, we recommend you leave your phone in the car so that your party won’t get distracted as you enjoy the finest cigars and coldest beers this side of the Rio Grande. Whether you want to stop by for a long night of revelry or drop in for a quick celebration during our gentlemen’s club happy hour, the dancers at Baby Dolls promise to deliver an exciting and entertaining evening full of fun and frivolity. We invite you to contact our Dallas gentlemen’s club to make a reservation and to learn more about the party packages we offer that can help you invest some of the raise you’ve just pocketed on a night of fun that you’ve worked hard to earn.